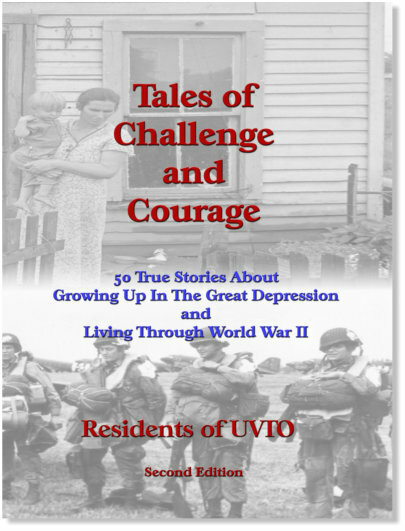 University Village at Thousand Oaks (UVTO) residents have put together a book describing their experiences during the Great Depression and World War II. It consists of 50 true stories and carries the title: “Tales of Challenge and Courage.” The book is no longer available for sale. If you have a copy, note that the book contains many individually copyrighted stories and may not be resold.